In the 1980's, a surge of interest in veterinary dentistry occurred world-wide. Before that time, only isolated centers and practices in the U.S.A. and Europe practiced veterinary dentistry of a relatively high standard. In the U.S.A., more and more private practitioners devoted their time exclusively to this speciality. They promoted the demand for veterinary dental services by presenting continuing education courses to their colleagues, and by making the public aware of the importance of their pets' oral health. Veterinary schools soon followed suit and started introducing veterinary dentistry into their curricula. A complete dental service for pets is now provided by a rapidly increasing number of private hospitals and teaching hospitals all over the world. The spectrum of dental disease in the dog and cat is wide and varied. This paper reviews the dental problems seen in dogs and cats, what services the veterinary dentist can offer, and what pet owners should know about their pets' teeth and gums. According to the American Veterinary Dental Society, more than 80 percent of dogs and 70 percent of cats develop gum disease by the age of three years. Periodontal disease is the most common dental condition affecting dogs and cats. Infection and inflammation of the gums and supporting tissues of the teeth are caused by bacteria present in plaque and calculus (tartar). 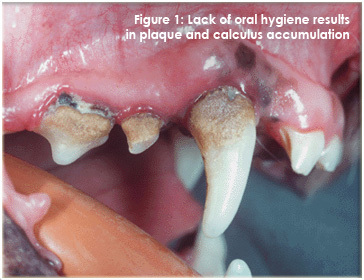 The problem begins when plaque and calculus are allowed to build up on a pet's teeth, especially below the gumline. Bad breath, bleeding and inflammation of the gums, receding gums, loosening and the eventual loss of teeth are characteristic of the condition. Prophylactic treatment to keep the teeth clean is therefore of great importance. Your veterinarian may recommend an oral hygiene program that includes regularly brushing your pets' teeth with a toothpaste formulated for animals. Diet is a major factor in the development of plaque and calculus. Soft or sticky foods should therefore be avoided, while certain chewing toys are beneficial. A specially formulated diet with dental benefits (reduced accumulation of plaque and calculus) is now available for dogs. Be patient when initiating oral home care, especially in older animals. It is best to start dental care at an early age. 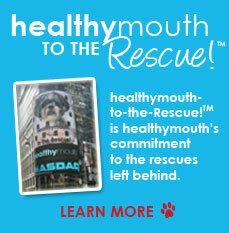 Introduce brushing gradually and begin by rubbing your pet's teeth and gums with a soft gauze wrapped around a finger. Gradually switch over to a toothbrush designed for pets or to a very soft human toothbrush. Avoid forceful restraint of the patient; rather make it a bonding experience and always praise and reward your pet for its cooperation. Regular dental check-up visits to your veterinarian are strongly recommended; the interval between check-up's varies from pet to pet and also depends on how effective the home care program is. Hardened tartar should be removed by your veterinarian, as this requires the use of special instruments and equipment. Routine periodontal treatment performed by a veterinarian typically includes ultrasonic scaling, subgingival manual scaling, and polishing. All dental procedures in pets, including scaling and polishing, are performed under general anesthesia. The current state-of-the-art of veterinary anesthesia is such, that this poses minimal risk. The adverse effects of bad teeth on the overall health of the animal also greatly outweigh the anesthetic risk. 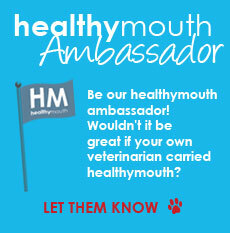 There are clear indications that oral health status has a profound effect on the animal's general health. Periodontal disease may cause bacteria and toxins to enter the bloodstream with potentially deleterious effects on internal organs. Conversely, poor systemic health may manifest in the oral cavity in various ways and may also exacerbate periodontal disease. Your pet's dental examination is therefore not limited to the oral cavity but always includes a general physical examination. Laboratory examinations, to evaluate systemic disease concerns, are also commonly performed. Some dogs and cats suffer from chronic oral infection or stomatitis, a poorly understood condition which is frustratingly difficult to treat. Tooth decay or caries, as seen in man, may occur but is relatively rare in the dog and cat. Cats, however, are prone to developing a different type of cavity, known as a resorption lesion. These poorly understood lesions often begin at, or below the gumline. Red, inflamed gums around an affected tooth, and pain are early signs that can be noticed by the pet owner. These lesions require immediate veterinary care. 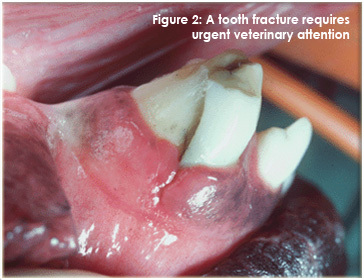 Dental fractures are very common in the dog, and dental treatment is mandatory if pulp exposure has occurred. The exposed pulp is not only very painful, but also becomes necrotic; the formation of a periapical granuloma or "tooth abscess" is also possible. Endodontic treatment (commonly referred to as root canal treatment) is now routinely performed by veterinary dentists. Subsequent to endodontic treatment, the root canal opening is filled with a dental sealant. Crown restoration, for which various techniques exist, is also available. In selected cases, other methods of fixed prosthodontics, such as a bridge, may also be considered. 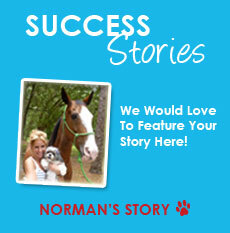 Most veterinarians do not offer this service, but are happy to refer selected cases to referral centers. In the field of orthodontics, attention is paid to the manner in which the teeth are arranged relative to one another (so-called "bite problems"). In evaluating a dog's bite, it is important examine all the teeth. Malpositioned teeth may be the result of teething problems and are not necessarily of genetic origin. On the other hand, evaluation of all the teeth may reveal that the bony structure supporting the teeth is abnormal, which is indeed hereditary. As many of these conditions may have a hereditary background, genetic counseling is always offered; it is often recommended that the animal be rendered incapable of reproduction. Corrective orthodontic treatment is restricted to conditions that obviously cause pain and discomfort to the patient. Both fixed and removable appliances, similar to those used in humans, have been used in animals with good results. Oral surgery in pets includes extractions, jaw fracture repair and oral tumor management. Unfortunately not all teeth can be saved and extraction is often the treatment of choice. Extraction techniques have been refined in order to minimize the pain and discomfort. Prevention however, remains better than cure. Trauma in dogs and cats is common and jaw fractures occur relatively frequently. The management of jaw fractures is an important aspect of oral surgery. New techniques for fracture repair have been designed and existing techniques modified to minimize damage to teeth and ensure a rapid return to normal function. Tumor cases account for another important group of oral surgery patients. Tumors of the mouth and throat are common in the dog but occur less frequently in the cat. 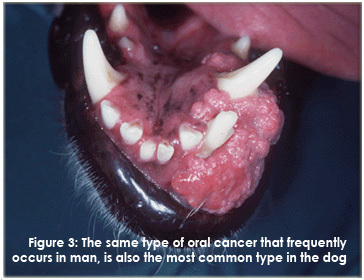 Oral tumors frequently go unnoticed by the pets' owners until the tumor reaches a fairly advanced stage of development, making it more difficult to treat successfully. A variety of lesions may occur, including benign and malignant conditions. Non-cancerous masses and swellings such as gingival hyperplasia and infectious conditions may be confused with oral tumors. Conversely, oral malignancies may present as non-healing, ulcerated sores instead of "typical" prominent masses. Early recognition of suspicious swellings or persistent sores is critical and, when evident, should be brought to the attention of the veterinarian. Recently developed surgical techniques for removing oral tumors and radiotherapy are now available. These techniques often give excellent results, both in terms of cosmetic appearance and prognosis, provided they are applied at an early stage. A greater awareness of dental disease in the dog amongst veterinary practitioners and pet owners will greatly contribute to the early recognition and prevention of dental problems, in particular periodontal disease. This is important, because periodontal disease may have a serious impact on a pet's well-being and general health. Great advances have been made in veterinary dentistry and a wide spectrum of dental therapeutic options are now available.